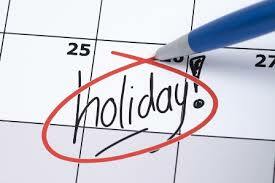 You already know when your next vacation is and what holidays your business will be closed on. Instead of playing a generic message telling callers your business is closed, tell them why and when you’ll be back. The more transparent you are with your customers the more likely you are to keep them happy and at peace when you’re not around. Always present them with an option to get immediate assistance should they need it. A website with a detailed FAQ section can often save a lot of headaches and urgent calls while you are on vacation with your family.